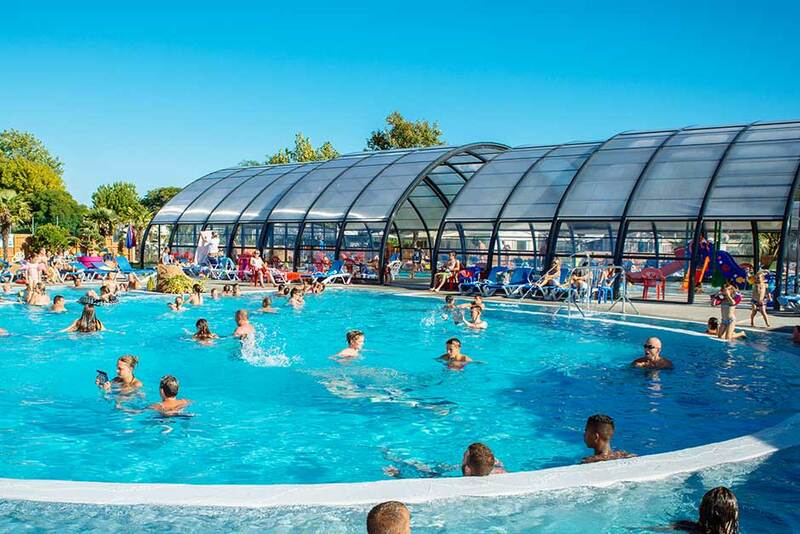 Camping L’Oceano d’Or is one of the prestigious group of sites, which won the ‘Grand Prix du Tourisme’ recently, and has now gained the coveted five star status. 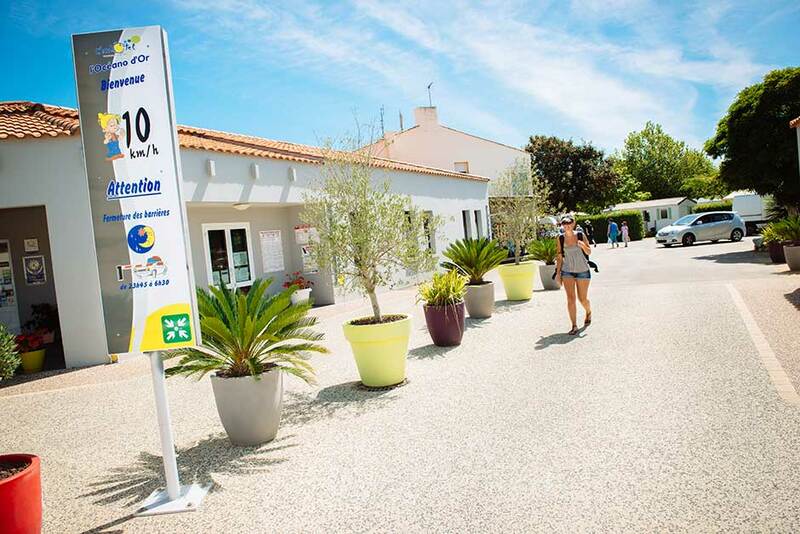 Camping L’Oceano d’Or is one of the prestigious group of sites, which won the ‘Grand Prix du Tourisme’ recently, and has now gained the coveted five star status. 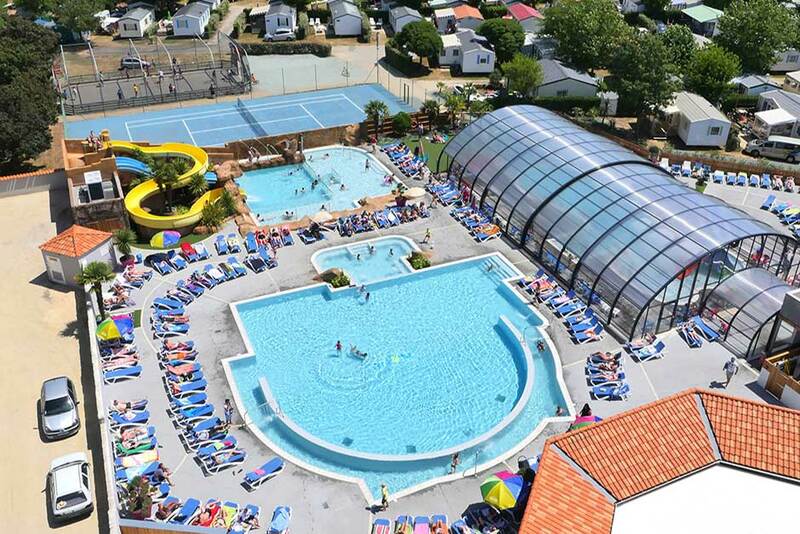 The large swimming pool complex has a spacious sun terrace, overlooked by the bar. 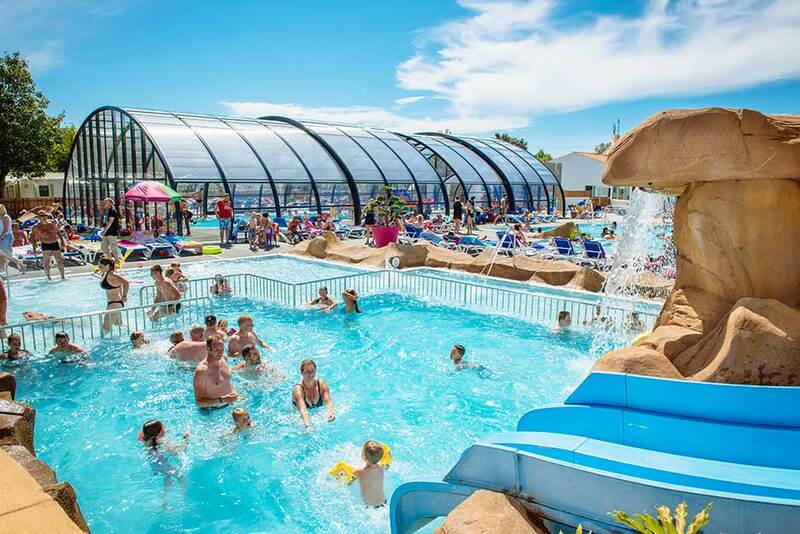 There are 2 fun waterslides and a heated children’s pool. 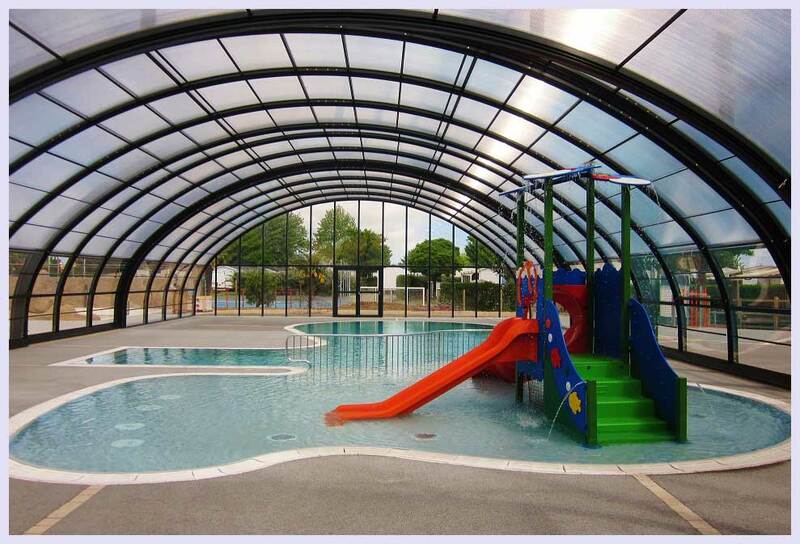 Built in 2015, the addition of a large indoor pool, with roof that can be opened, is an added attraction. This site should appeal to families with children of all ages. 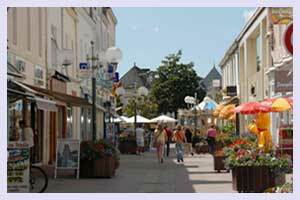 It is lively in high season with a full programme of entertainment. 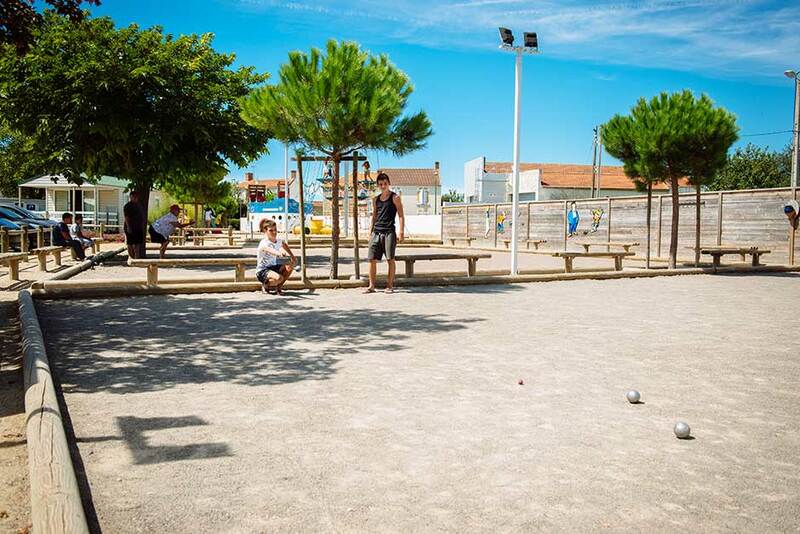 Other sporting activities on offer are tennis, boules, aquagym and scuba diving. There is also a fitness suite on site. 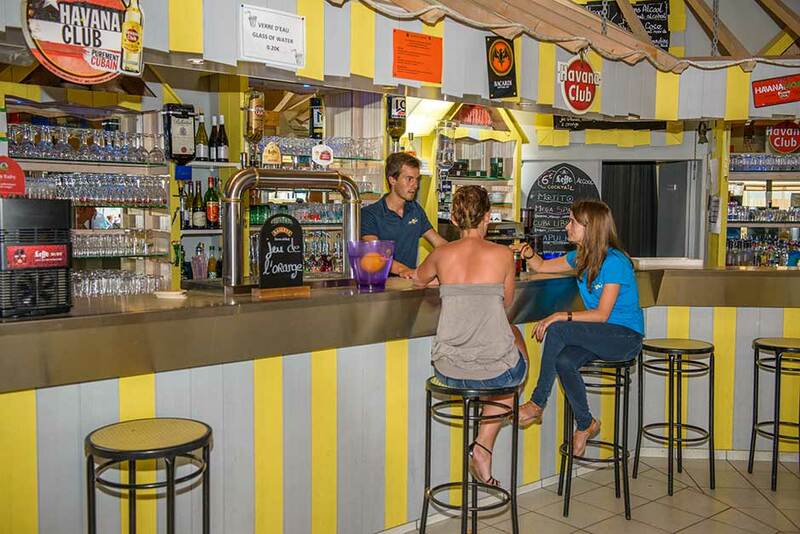 The site has 2 beaches within walking distance, Plage de Boisinet and Plage de Morpoigne, both of which have plenty of bars, cafes and restaurants. The pitches on site are flat and a mixture of grass and sand, and seperated by either shrubs or hedges to give some degree of privacy. Our homes come with full sized cooker, fridge freezer and microwave as standard. Patio furniture is included in the price. Because our homes are situated close together, we wiil endeavour to put families next to each other where possible. 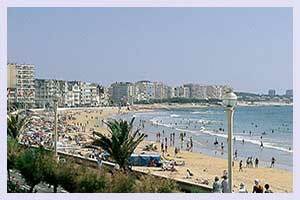 The harbour at Jard sur Mer is a lovely spot for a stroll in the evenings. 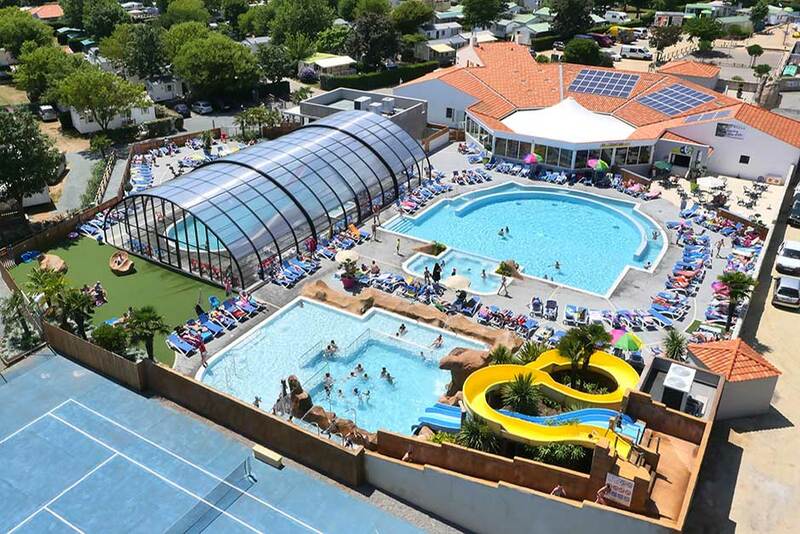 Camping L’Oceano d’Or is 500 metres away from the town of Jard sur Mer, which has shops, bars and restaurants practically on your doorstep, so you can forget about the car if you wish to. 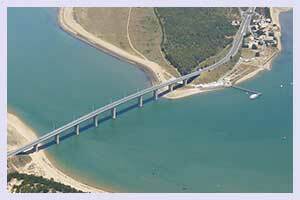 All our homes on this site have either 2 or 3 bedrooms, with either open or semi-covered verandas. 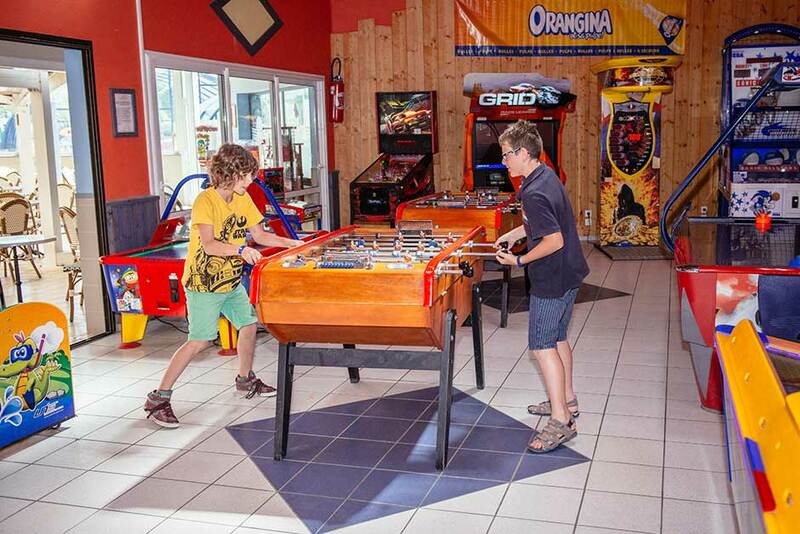 The kids club runs every day except Saturday, between 10 and 12 noon. 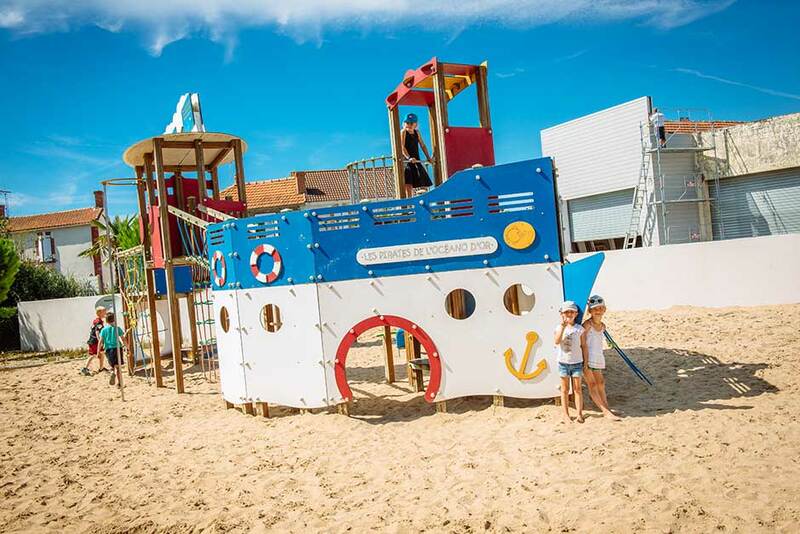 Activities for 5-12 year olds include Treasure hunts, Art & Crafts and Sports Tournaments. Ask at reception for more details. Older children and teenagers can enjoy the multi sports courts playing football, basketball or volleyball. There are several competitions organised during high season. 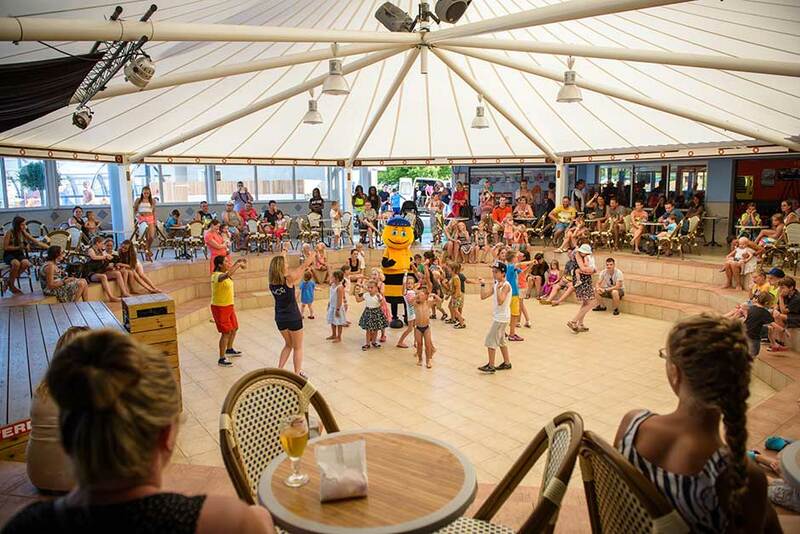 In the evenings, the entertainment takes place in the large amphitheatre beside the bar, where live music, discos, karaoke and competitions are just some of the family entertainment on offer. 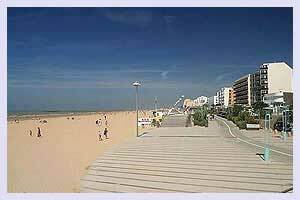 is a busy and attractive seasidetown with many attractions, sea front bars, shops, cafes and restaurants including an excellent beachand twice weekly market. 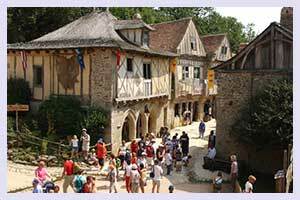 is a mediaeval theme park where you can go through a journey in time from the Roman gladiator games, the Viking attacks from the year 1000 etc. 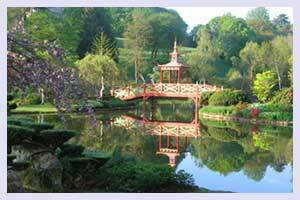 is situated a few miles inland and provides a nice day away from the beach, with a lake and chateau on offer. Some of our homes are now available with English satellite TV. See prices page for details.